Boilermakers assemble, install and repair boilers, closed vats and other large vessels or containers that hold liquids and gasses. 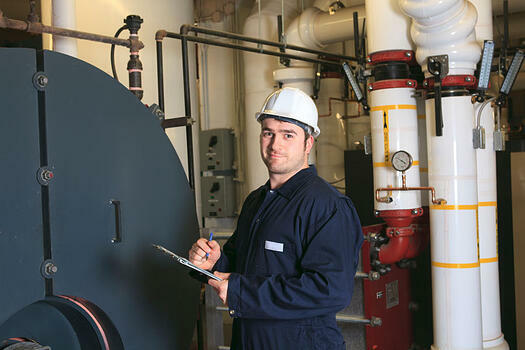 Boilermakers perform physically demanding and dangerous work. Boilermakers may have to travel long distances to work sites and/or live away from home for periods of time depending on the job. Boilermakers learn their trade through a registered apprenticeship program. Candidates are more likely to be accepted into training programs if they already have welding experience and certification. After the apprenticeship and based on certifications, a journeyperson boilermakers (a qualified and skilled person in a trade), can earn up to $45.00 an hour. Employment of Boilermakers is projected to grow 9% from 2014 to 2024, faster than the average for all occupations. Workers with welding experience and general mechanical aptitude will have the best job opportunities. Learn more about a career as a BOILERMAKER!